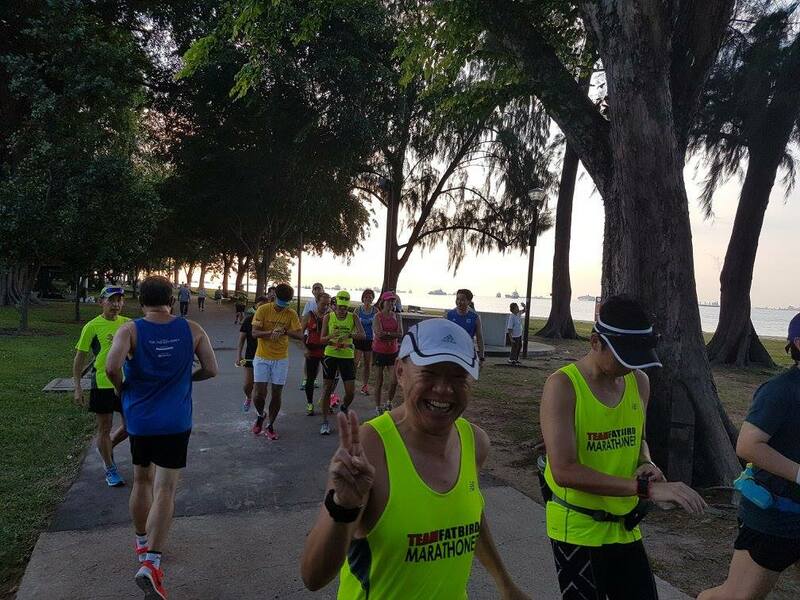 It was week 3 of the 12-week marathon coaching program for Standard Chartered Marathon Singapore (SCMS) 2016. This time, the setting was at the hilly backdrop of Mt. Faber and Labrador Park. In spite of the looming dark clouds in the morning, the turnout was respectable. Great that the rainstorm did not materialize to disrupt training. 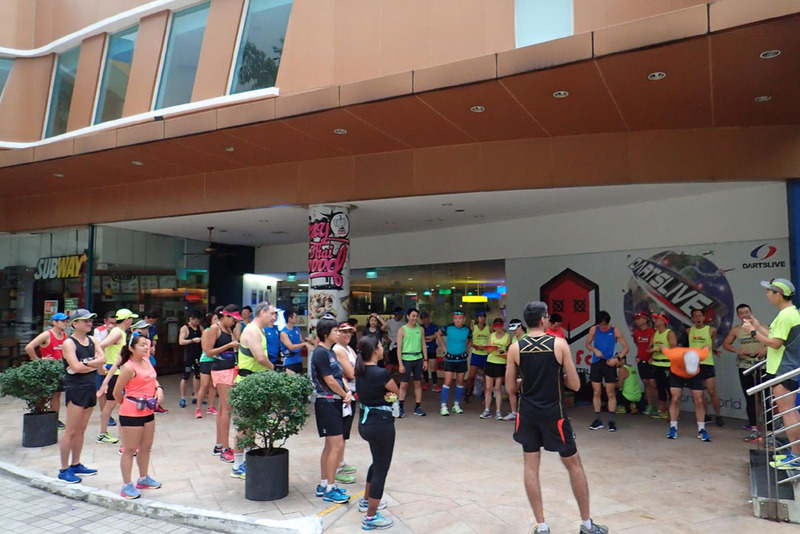 The pre-training briefing touched on aspects of hills running techniques and maintaining good running form when faced with challenges of hilly terrain. A number of Sunbird trainees were away to race the Berlin Marathon, while a few more will set off in 2 weeks time for Chicago Marathon. We wish them godspeed and trust that their marathon training with Team FatBird have prepared them well for Personal Bests and good timings. 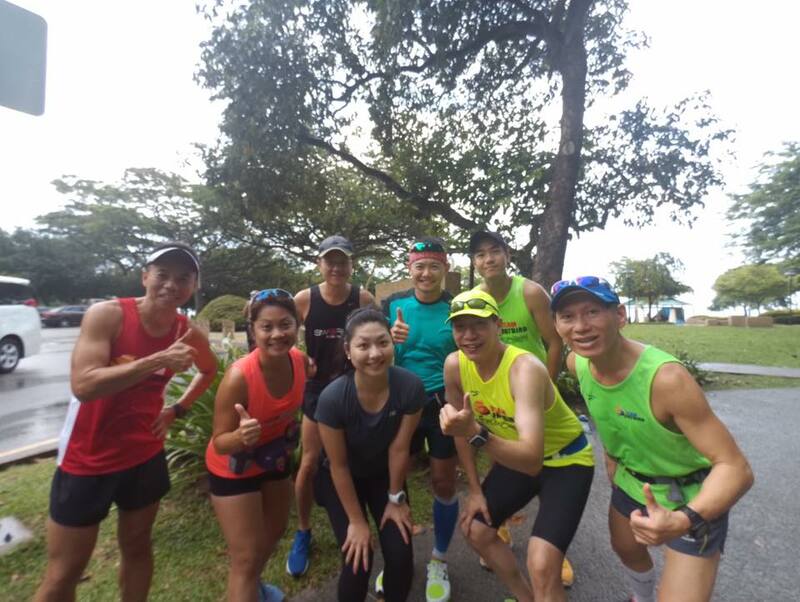 The first part of the morning’s training menu saw the Sunbird trainees devouring the rolling hill at Labrador Park in a series of 2.2km Figure-Of-8 sets of continuous running at Basebuild pace. 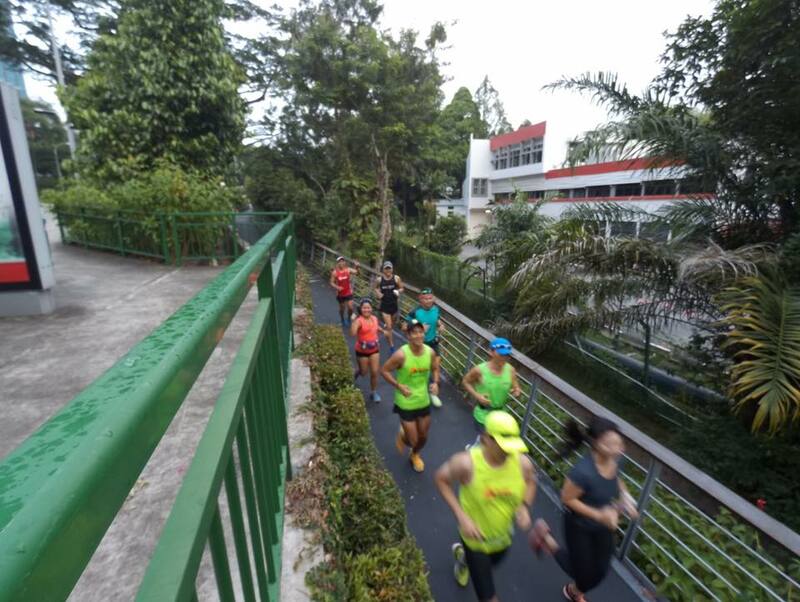 The cooler weather in the morning allowed the respective groups of runners to maintain prescribed training pace without any hitches. The experienced FatBird trainers were deployed to each respective pace group to guide the trainees as well as to watch their running form and provide training advice. The hills challenge were meant to draw the reserves from the runners and to test their abilities to maintain good running form. 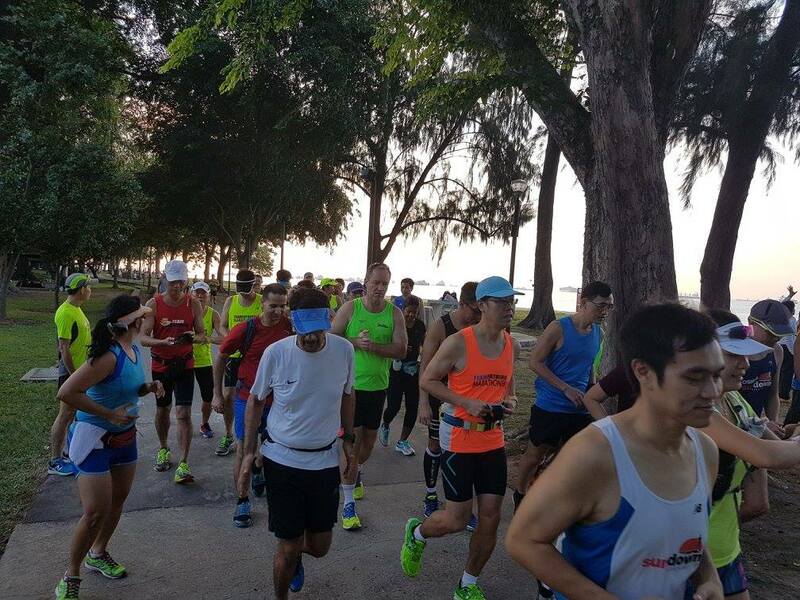 After the 3 loops for the Half Marathon runners and 5 loops for the Full Marathoners, the respective training groups proceeded to Mt. Faber hills for the second main menu item. A 1.6km hills repeat for 3-5 sets of continuous run at BaseBuild pace. As the Sunbirds climbed up the 800m upslope along Mt. Faber slopes, they were reminded of the need to maintain an upright posture, eyes front (and not looking down), hips and waists not bent, and picking up the legs nicely from the back with a mid-foot landing on the balls of the feet. Breathing should be regulated to avoid over working and burning off precious glycogen too early. By the 3rd lap, it could be seen that the glycogen stores were running low even with the faster groups. The trainers decided to cut 1-2 laps off the training requirement when we realized that we have achieved the plan distances. The Sunbirds welcome the good news with smiles on their faces. The training was completed with all objectives met. A short debrief to provide feedback and comments to trainees ensued, before the session ended at 10:15am. Overall, it was a fruitful training session. The Sunbirds move into the quarter two of the training program next week with enhanced hills training and aerobic base building. Whether you are preparing for marathon races (10km, Half Marathon, Marathon) or just wanting to do high fat loss aerobic based long running, you can look towards Team FatBird’s FlightZONES structured marathon training program to help you make it happen! Lose weight and race fast with Operation Sunbird 2016! 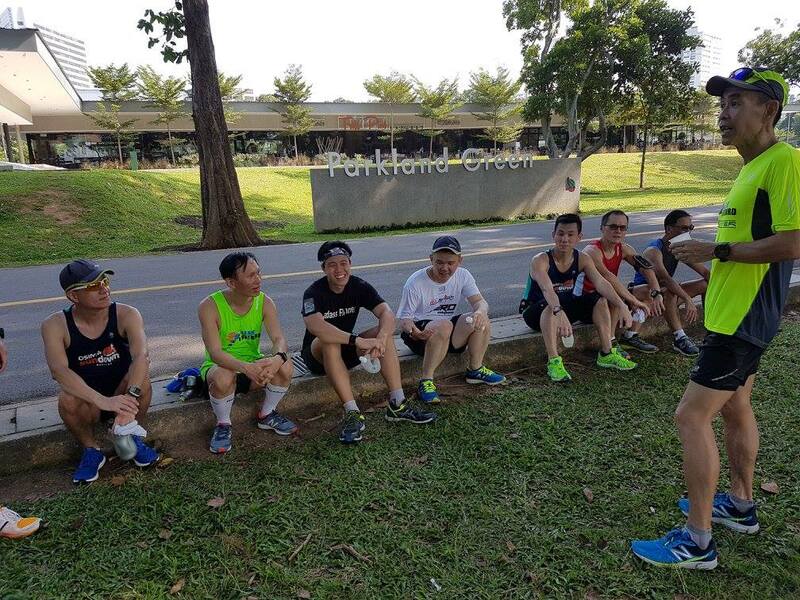 Team FatBird also has an 8-week Corporate SCMS Marathon Training Package to prepare employees of companies and institutions for the Standard Chartered Marathon Singapore (SCMS). Write to info@teamfatbird.com OR Check Out Program Details Here! The morning downpour did not put a dampener to the determination and commitment of the Operation Sunbird trainees who were gearing up for week 2’s base building long run. 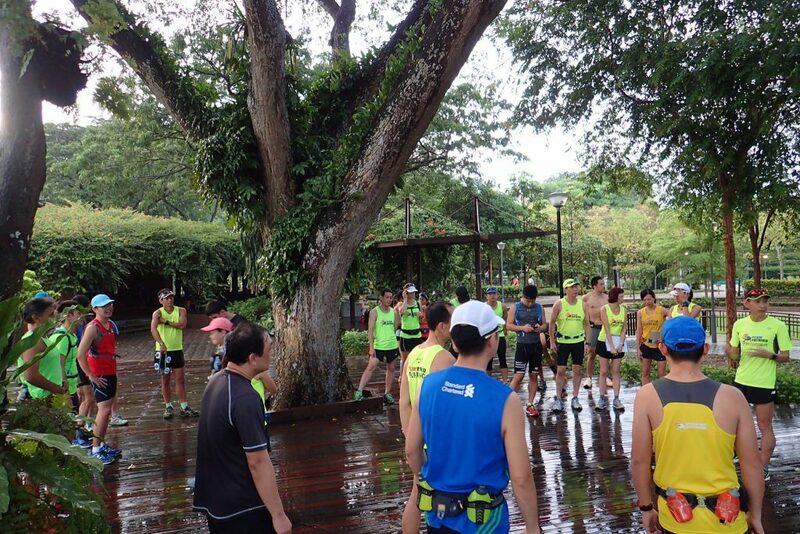 A message was sent out from Team FatBird trainers that the training would go on as usual as the rain had abated by 6 am. The original plan was to do some intensive trail running to condition and strengthen the running muscles of the Sunbirds. In the interest of safety, we modified the route to avoid the trails and instead added on an additional slope series to make up the distance and challenge. 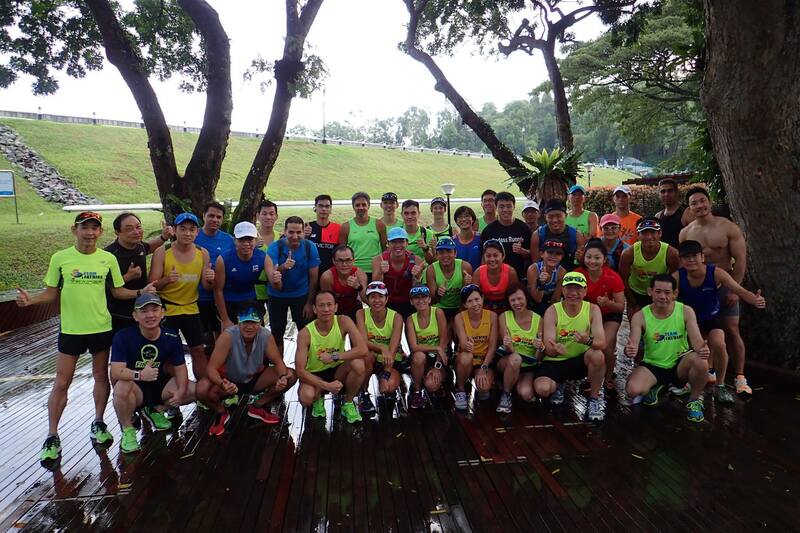 The marathon trainees for SCMS welcomed the cool weather after the rain had stopped by 6:30 am. 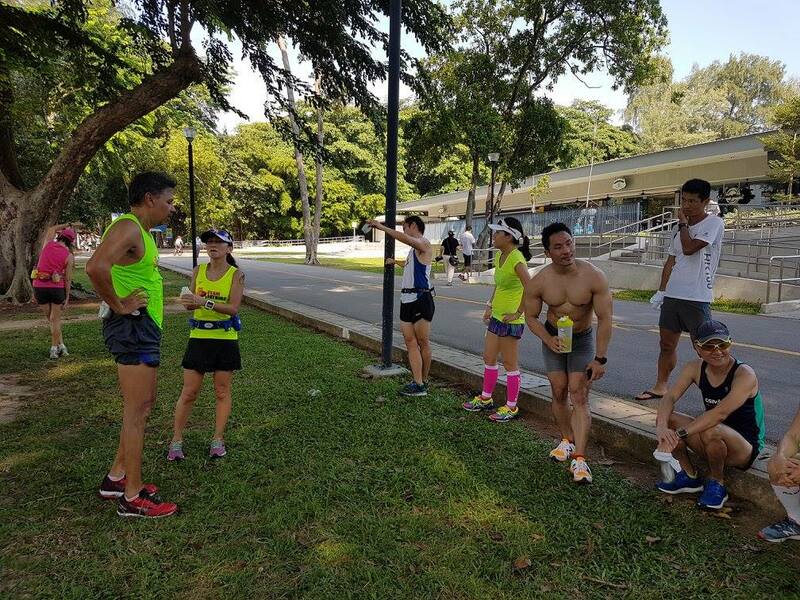 Everyone was charged up, including the dedicated team of FatBird trainers who were on hand to guide the trainees on how to build up an enviable endurance base for a good race in December. 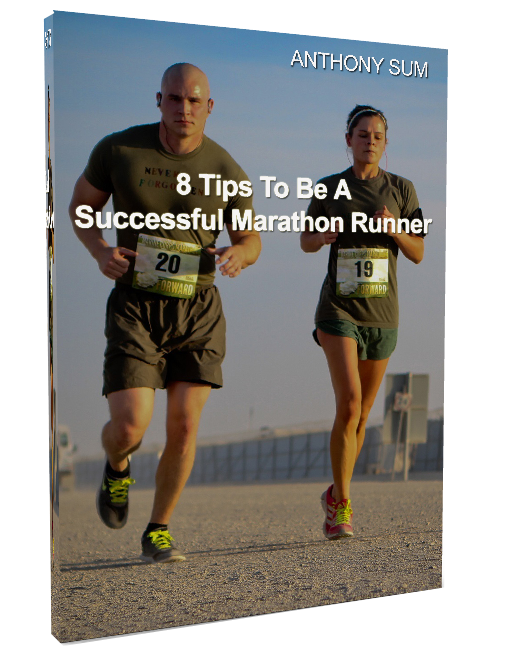 This 12-week Half Marathon and Full Marathon structured training has been very successful all these years. We welcomed a few ex-Sunbirds this morning who came back to sharpen their endurance base and race pace for that big SCMS race. 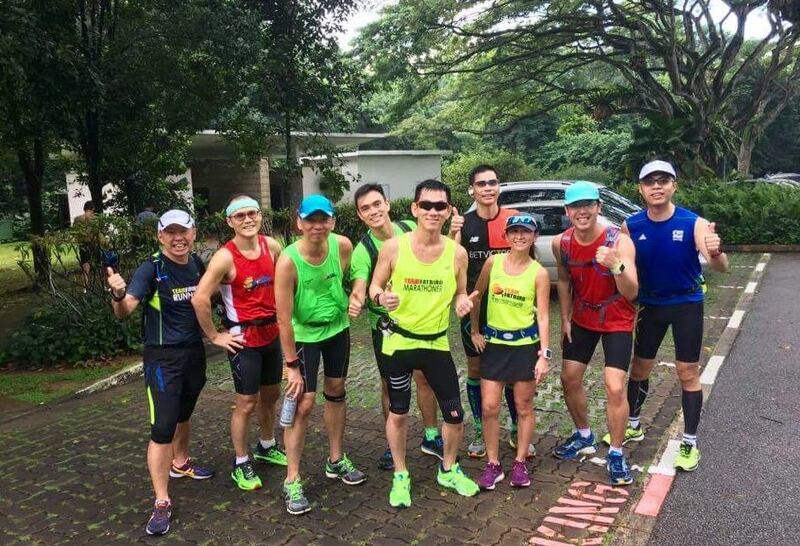 The respective Half Marathon groups of 2:00h, 2:15h and 2:30h and the Full Marathon teams of 3:30h, 4:00h, 4:30h, 5:00h, 5:30h took off from MacRitchie Amenities Centre after a short training briefing. 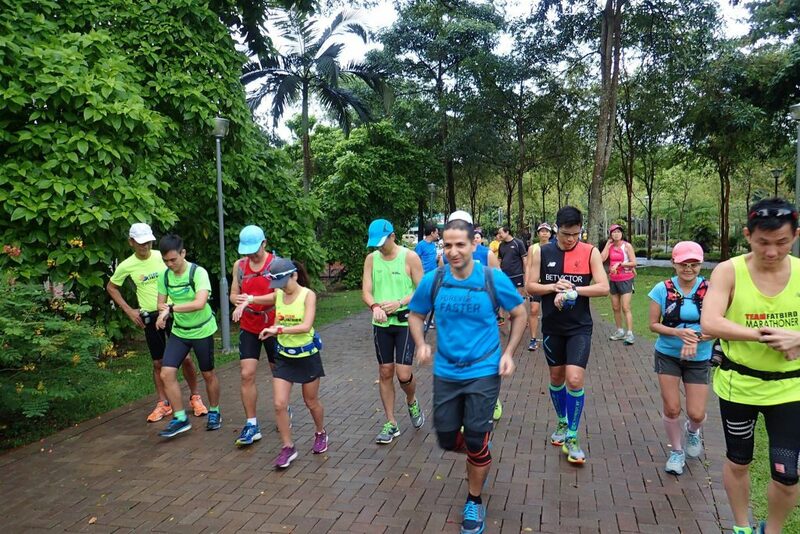 Some tips on training at correct Heart Rate Zones and maintaining sustainable pace were dispensed. The use of proper running gear like hydration belts and running shoes that fit the profile of each individual was emphasized. A number of trainees this round were beginners to structured marathon training like Ops Sunbird. 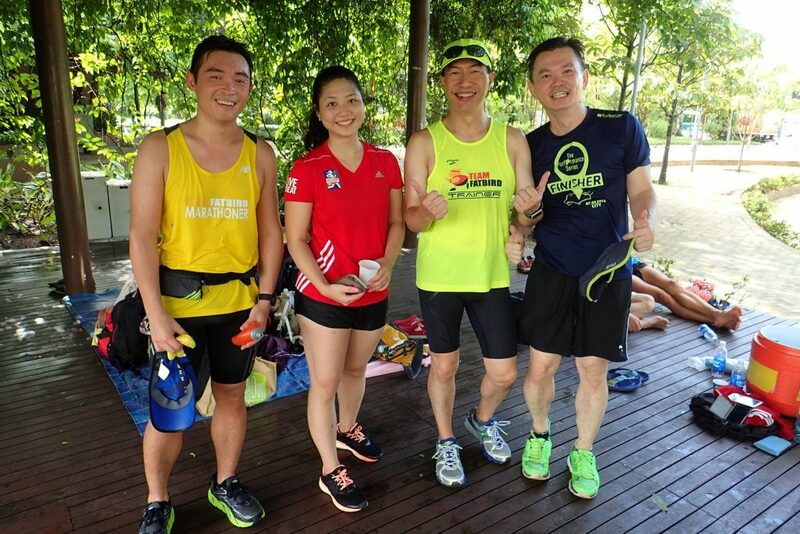 They enjoyed the group running and training, with proper instructions and tips on how to prepare and plan for their target goal timings at the marathon. The experienced trainers in each pace groups chatted with the Sunbirds who were supposed to be running at conversational pace. 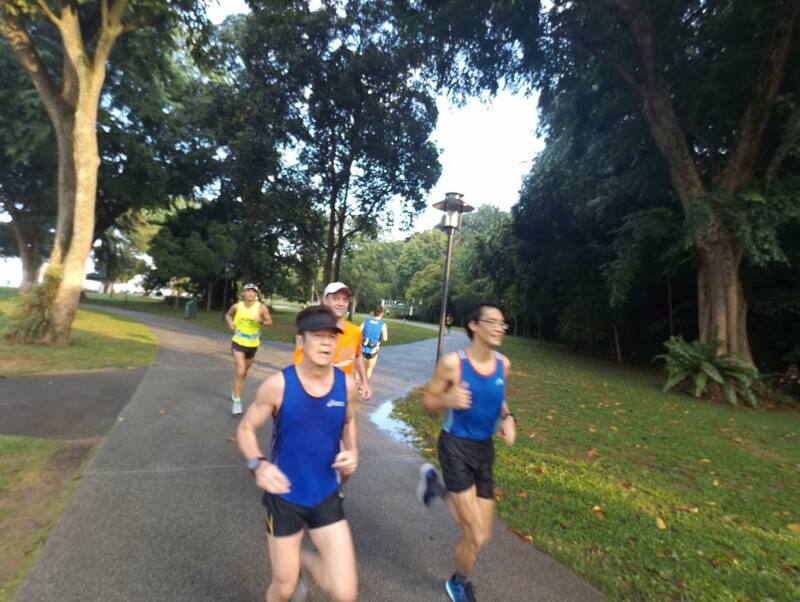 In spite of the minor detour due to construction works along Thomson Road, the Sunbird marathon trainees ran as unified groups led by their trainers into Upper Peirce Reservoir. They continued in good formation, watching out for fellow group running mates. 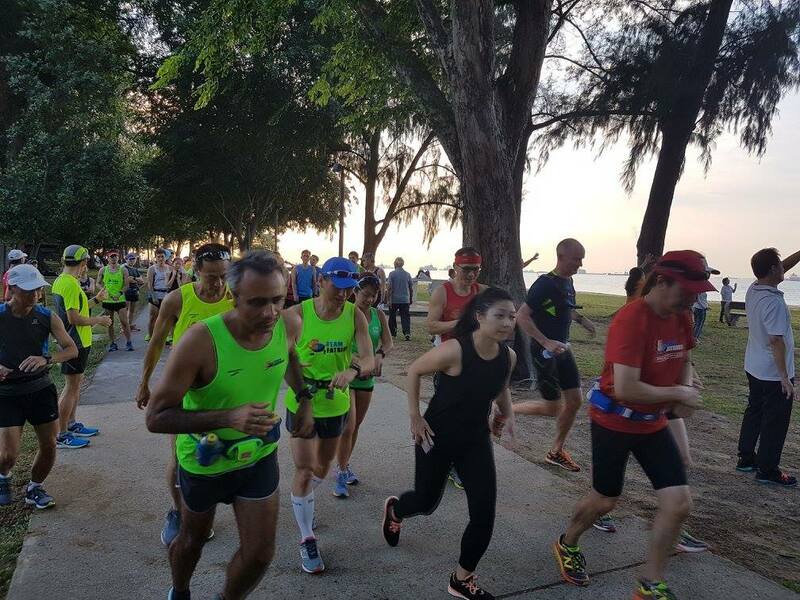 All had no problems entering into Old Upper Thomson Road (OUTR) before the Half Marathon runners turned back to base for a 13km training run. 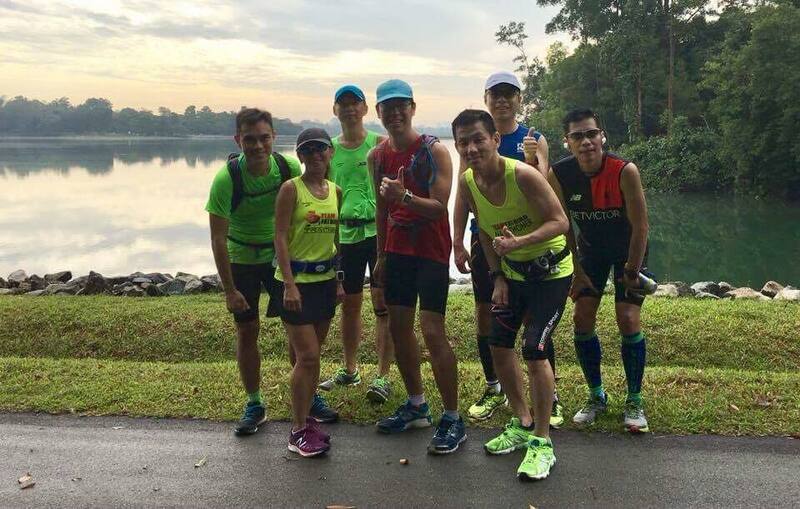 The Full Marathoners continued into the rolling hills of Lower Peirce Reservoir, a favourite training ground for many serious marathon runners. The air was cool and crisp as the greenery flanking the roads on both sides provided a serene calm from the hustle and bustle of the major roads. Tackling the rolling hills was one of the major training highlights for the Marathon trainees. By the time they were done with the ‘meat’ of the morning’s session, many were drenched and digging deeper into their reserves for that 5km back to base. The pace was very well maintained by all the groups, especially so with groups 1 through 3. A number of Sunbirds found sufficient energy left to run a negative split (timing fast on their return back). The whole training was completed by 10:15am, which was well within the allocated training time. A debrief of the session was conducted to get feedback from both trainees and trainers. The trainees were happy they completed the training without too much of a problem, and were encouraged by their much faster pace. Some Sunbirds expressed they never ran faster and feeling better before joining the Sunbird training sessions. The trainers were heartened to hear of the positive attitude of the Sunbird trainees. Of course, we know that there are many more benefits of training with organized groups which the Sunbirds will unravel in the upcoming weeks. In week #3, we will be going to another new area for training – the hilly region of Mt. Faber. As some experienced running coaches rightly put in, “Hills are Speedwork In Disguise”. Speedwork from hills running is what we will be having as training objective next week. We look forward to having more trainees come for this session! The Ops Sunbird Program is still available if you are looking to train the SCMS and other year end marathon races, or like some other trainees who are enrolled for the weight loss benefits they get from the aerobic endurance training. Lose weight and race fast with Operation Sunbird 2016! 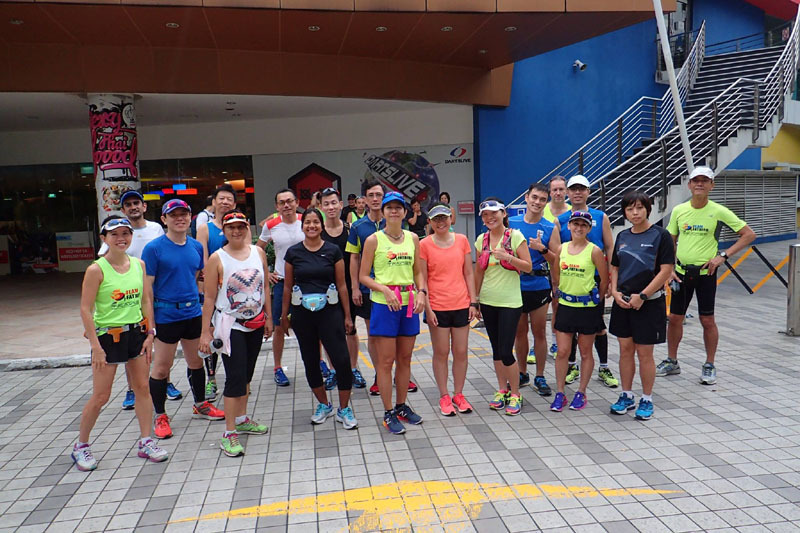 Team FatBird has started an 8-week Corporate SCMS Marathon Training Package to prepare employees of companies and institutions for the Standard Chartered Marathon Singapore (SCMS). Write to info@teamfatbird.com OR Check Out Program Details Here! 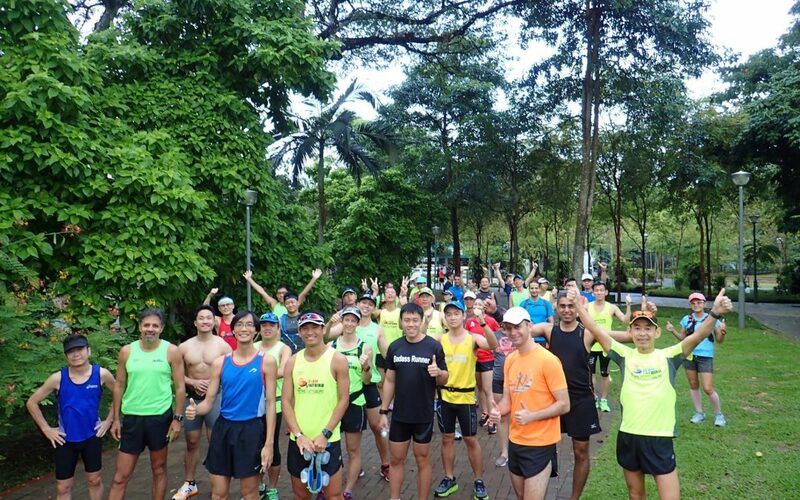 It was a hot morning as a group of runners gathered at Parkland Green for the kickoff to Operation Sunbird 2016 – 12-week structured marathon training program for the Standard Chartered Marathon Singapore (SCMS) in December 2016. 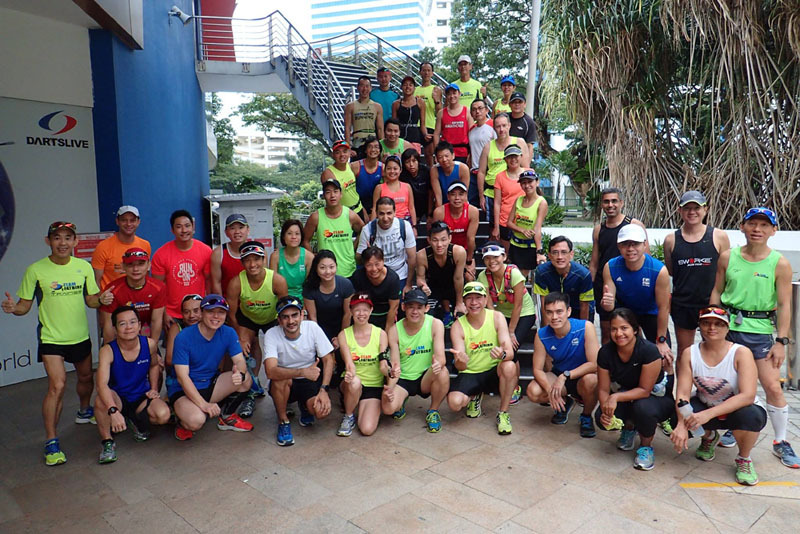 New runners to Team FatBird joined in alongside long-time and experienced marathoners who have been training with Team FatBird for many operations in the past. Many were in the Sunbird training program to do a good timing, possibly a Personal Best for the SCMS race. A number were preparing for international marathons like OSAKA Marathon, Chicago Marathon, ChunCheon and Jeju Koea Marathons, Taipei Marathon and Chiangmai Marathon among the key races. Yet a number more were in the program to lose weight through distance running. Weight loss has been one of the very positive benefits for trainees in Team FatBird’s marathon training programs. After a welcome address for all participants, a program briefing overview was conducted. 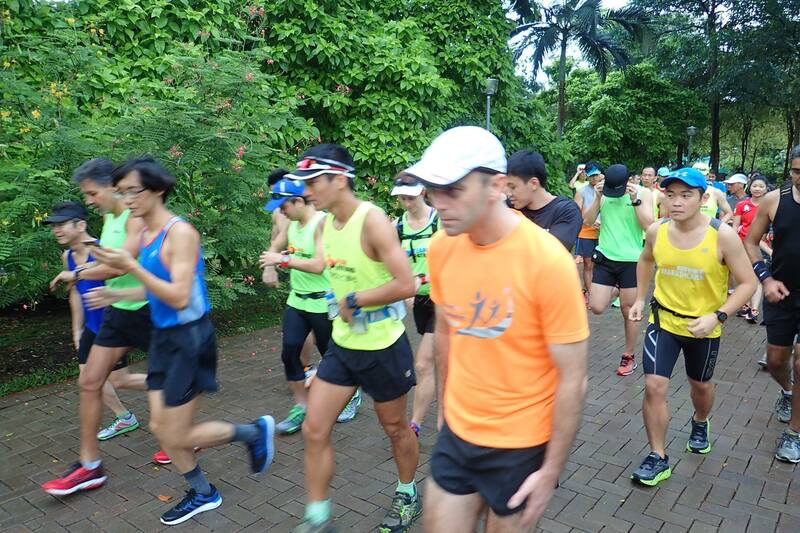 The 12-week comprehensive training will take the participants through 6-weeks of foundation and base building, with the second 6-weeks focused on marathon pace training to bring trainees to meet their SCMS race goals. 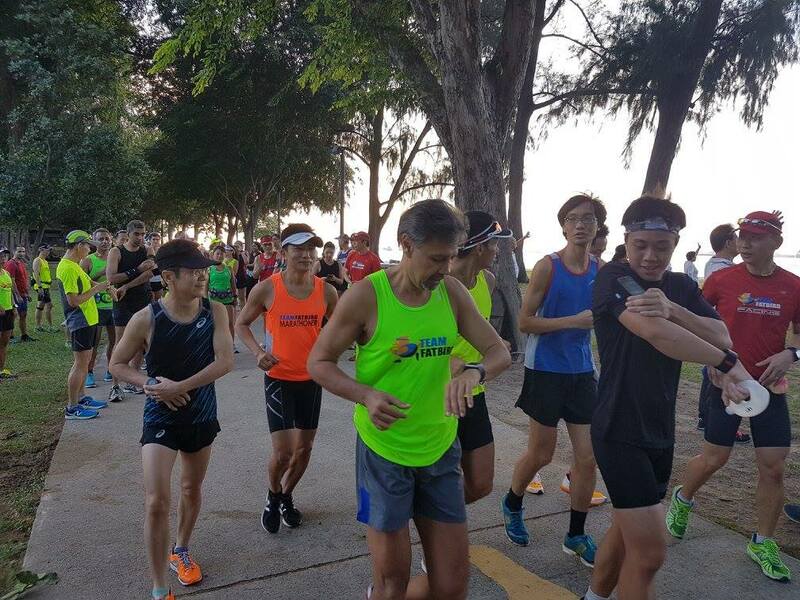 The Sunbird participants will be going through heart rate training with weekly schedules of runs comprising tempos, recovery, speed, hills, recovery as well as cross-training. Tips and advisory on building aerobic base, speed endurance, hydration and nutrition planning, rest and injury avoidance, good running form, adaptation to training, tapering and race day preparations are dispensed weekly. The kickoff long steady run of 12km for the Half Marathon runners and 21km for the Full Marathoners were led by experienced trainers and marathon pacers from Team FatBird. The heat on this sunny morning provided the opportunity for some ‘conditioning’ for the trainees. 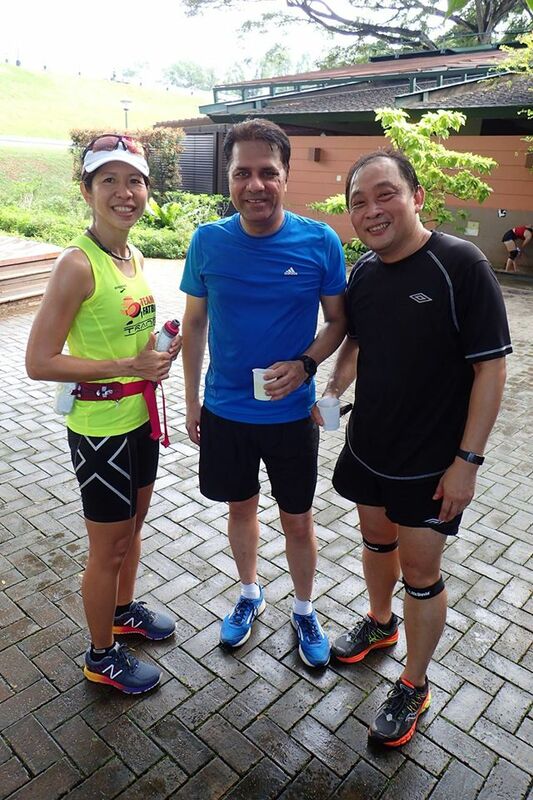 The actual SCMS race have been in hot conditions for the past few years. All Sunbird trainees were placed into respective training groups according to their targeted pace and ability. Each group in both the Half and Full Marathon are led by trainers and pacers. Different training groups will have different strategies and tactics to accomplish their objectives. For example, a run-walk plan is used for groups going for 5:30h marathon finish times and beyond. The entire session was completed in 150min with all trainees accomplishing their training objectives. Feedback from trainees was they enjoyed thoroughly the training. Norman mentioned that his fears of not being able to keep up were laid to rest with the helpful trainers. Ben who was supposed to run only 12km continued on to complete his longest distance ever – 21km, and at a fast pace to boot. He was extremely satisfied and happy he joined the program. 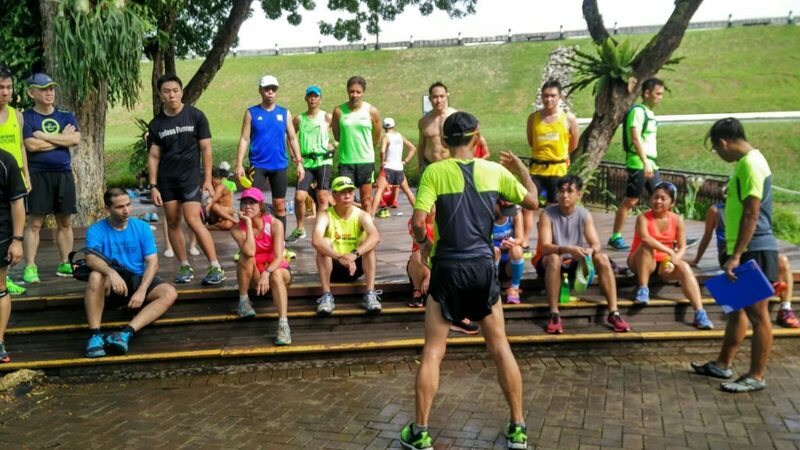 The whole atmosphere was very positive, and the debrief was conducted to share more insights into how such structured marathon training programs will bring beginners and experienced marathoners to their goal timings. Our experienced and knowledgeable FatBird trainers were happy to share their insights and advice with the Sunbirds in a conducive learning environment. The Sunbirds are a lot more confident after this first session that they will meet their objectives. Patience and following the structured system of training will be key to the Sunbird’s success. 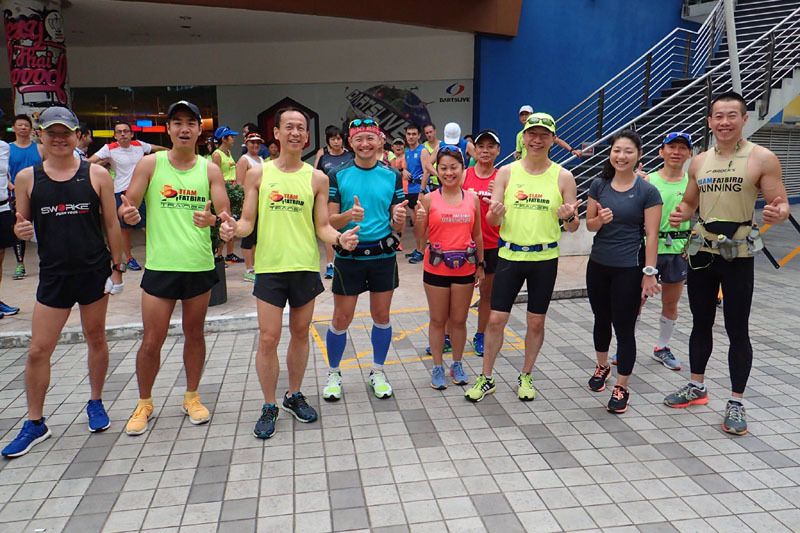 If you too are preparing for the SCMS and other year end marathon races, you are encouraged to sign up for Sunbird Marathon Training to benefit from structured group training led by qualified and experienced marathon trainers. 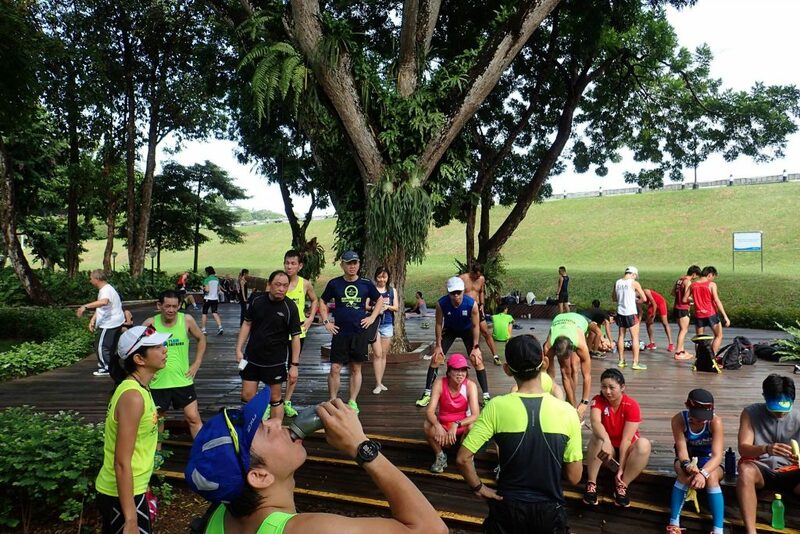 Week #2 of Sunbird training will see the participants go through trails and slopes at MacRitchie Reservoir Park. The foundation and base building continues.